WASHINGTON, August 10. /TASS/. Although prison conditions of US-jailed Russian citizen Maria Butina have improved, her arthritis has exacerbated due to low temperatures in the cell, the Russian embassy in Washington said in a statement on Thursday. Russian diplomats visited Butina in prison earlier in the day. "She is allowed to use the gym, and food has become much better. At last, she was examined by a dentist, and treatment was prescribed. At the same time, due to low temperatures in the cell, her arthritis has exacerbated. She is not allowed to take walks outside," the Russian embassy said in a statement. 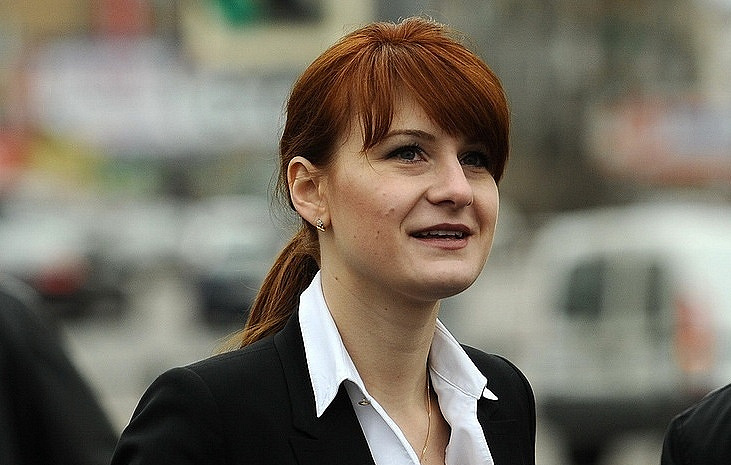 Maria Butina, 29, is accused of conspiracy against the US and of acting as an unregistered foreign agent. US special services claim that Butina conducted such activity without being registered as a foreign agent at the Department of Justice. Butina was arrested in Washington on July 15. The court has remanded her in custody until a court session due on September 10. Russian Foreign Minister Sergey Lavrov in a telephone conversation with US Secretary of State Michael Pompeo on July 21 demanded Butina’s immediate release from custody. Lavrov described the charges against her as fabricated. Butina went to the United States for studying international relations. Last spring she received a master’s degree at American University in Washington.